to store all the watercraft. 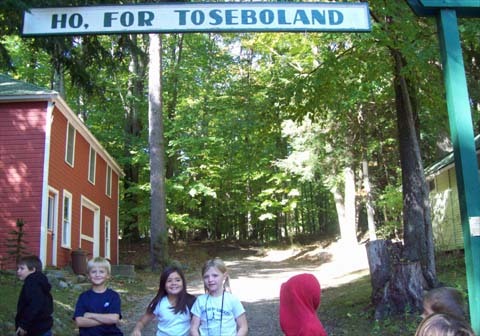 Camp Tosebo was a camp for boys. At camp Tosebo, the boys did archery, fishing, boating, sailing, and swimming. The boys and staff got to camp Tosebo by boat, car, bus or train. There were plays. 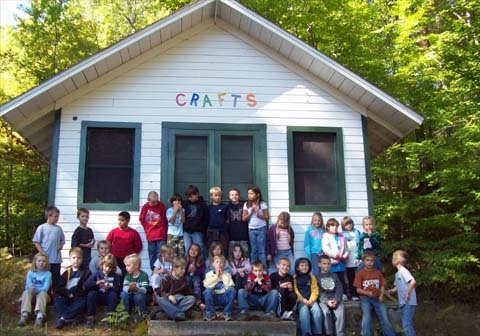 They stayed in cabins. The boys did horseback riding. 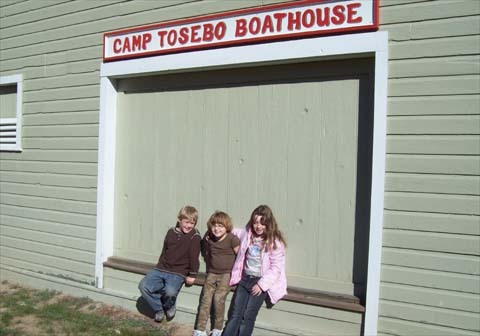 Camp Tosebo was a summer camp for boys. The boys did archery, fishing, boating, swimming, ceremonies, plays and ball games. The boys and staff got to Camp Tosebo by boat, car, bus and train. The bys luggage was stored in a trunk house. The boys swam, and went n their boats on Portage lake. This sounds like fun! Camp Tosebo wasa boys camp. At camp Tosebo, the boys did swimming, Indian ceremonies, and fishing. The boys and staff got to go camp Tosebo by boat, car, train, or bus. There were girls there too. There were six girls. The entrance of Camp Tosebo. HO! The Portage Point Inn is in Portage Point. 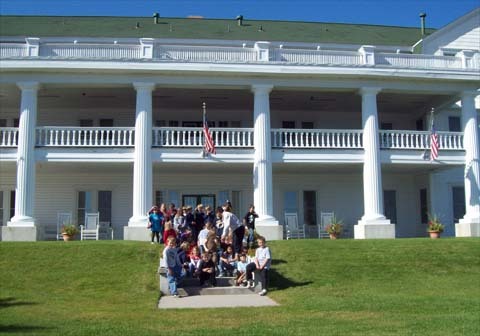 The grand columns of the Portage Point Inn. It looked like the White House. We felt grand. I could see the Portage Point inn. 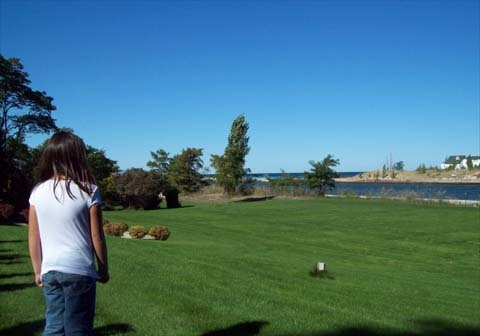 Lauren overlooks the channel, hand-dug by men, linking Portage Lake to Lake Michigan. 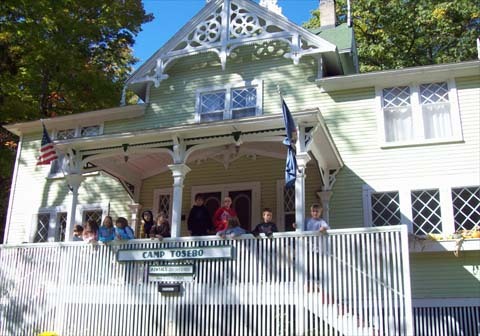 Not in the picture, is the Interlochen Cottage, the boarding house where the men stayed. The Tosebo Clubhouse. This is where the boys ate their meals.